Dr. Coble returned back to central Pennsylvania in June of 2008 after his graduation from renowned Temple University’s Kornberg School of Dentistry. After working for several years in various practices, Dr. Coble decided to join Dr. Kreiner as a partner in Smiles on Trindle Dental Care. Dr. Coble occasionally does screening and treatment for the National Guard on the weekends. He also maintains membership in the Academy of General Dentistry and the American Dental Association. Dr. Coble sharpens his skills through a magnitude of continuing education courses each year to not only improve his knowledge, but to offer more comprehensive care to his patients by exploring the latest in dental treatment technologies. 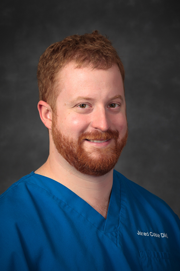 In his spare time Dr. Coble enjoys skiing, reading and spending time with his family. He resides with his wife, and young daughter in Lower Paxton Township. Dr. Coble is currently accepting new patients and offers a wide range of dental procedure surrounding the fields of cosmetic, restorative and emergency dentistry. 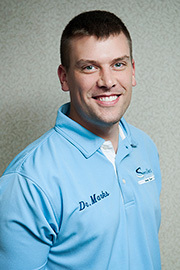 Dr. Marks is a native of Mechanicsburg, having graduated from Mechanicsburg Area High School, he has returned to practice with Smiles on Trindle Dental Care and be close to family. Dr. Marks received his Doctor of Dental Medicine degree from Temple University's Kornberg School of Dentistry. Prior to attending Temple, he earned a Bachelor's degree in Biology from the University of Pittsburgh. Dr. Marks is a member of the American Dental Association, the Academy of General Dentistry and the Kornberg School of Dentistry Alumni Association. In his free time, Dr. Marks enjoys the outdoors, skiing and improving his golf game. As a dentist, his goal is to help his patients obtain and maintain the best possible oral health care and smile.